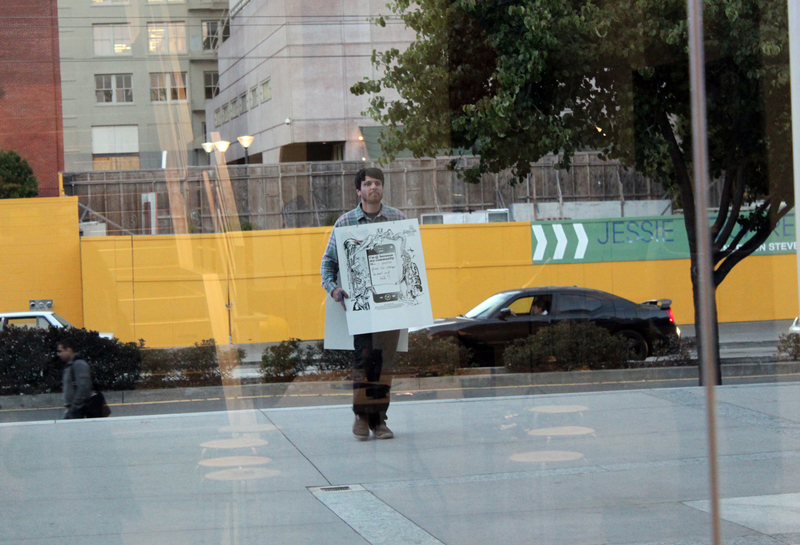 Peter Foucault/Chris Treggiari MAP project at Yurba Buena Center for the Arts on Thursday September 19th! 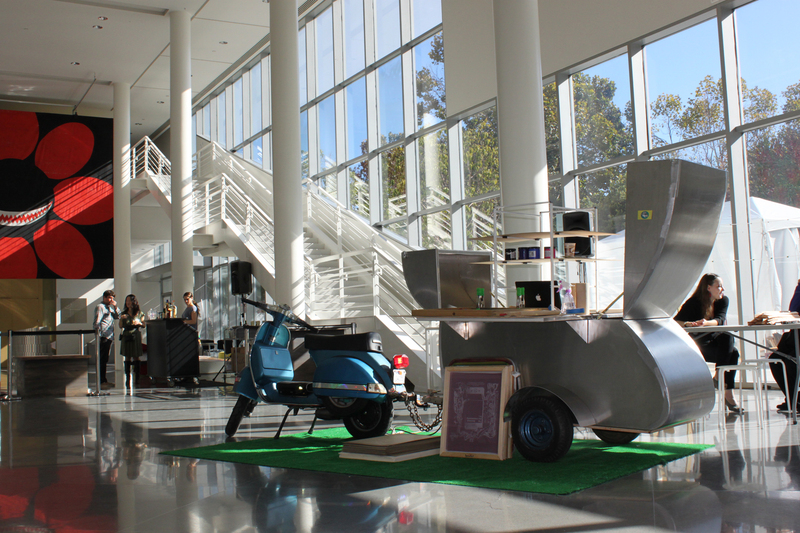 A HUGE THANKS to everyone who stopped by YBCA on Thursday Sept. 19th and checked out our latest Mobile Arts Platform (MAP) installation! It was an amazing evening and an enormous success that allowed many people to participate and share their voice. Our live tweet piece, which invited people to say “I (emoticon) my community because…” drew in tweets from as far away as Mexico City and Argentina. 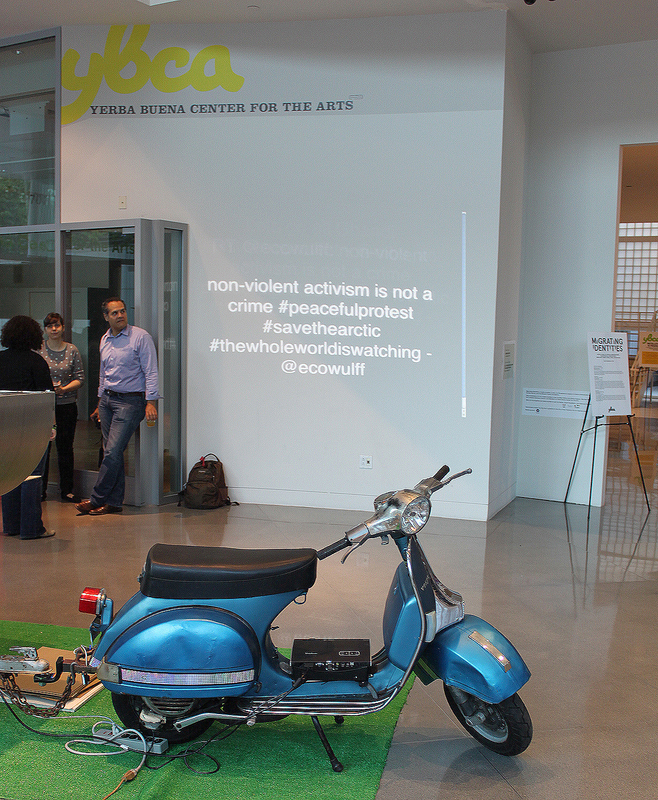 A HUGE THANKS also to Katya Min and the YBCA staff for hosting us, Art Hazelwood for creating such an amazing poster image, Jonathan Grover for creating such an innovative tweet piece, and Jessica Watson for helping us promote the project! 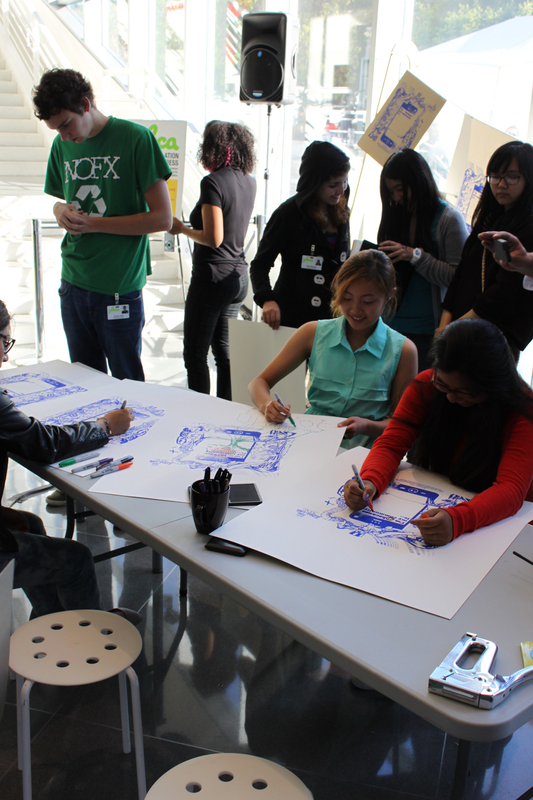 The YBCA:ConVerge series is a free monthly public gathering featuring creative and generative social art practices. ConVerge is where community and innovative multi- and inter-disciplinary arts practices come together in our free and public spaces in a fluid, interactive, experimental format designed to engage audiences. 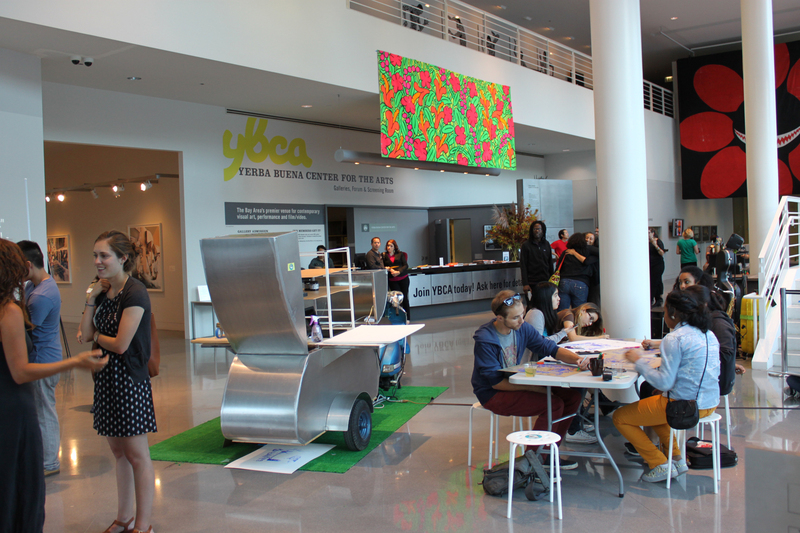 YBCA’s Grand Lobby and Front Door Gallery will come alive during ConVerge events with social art, live music and inspiring curated performances, as well as drinks prepared by YBCA mixologists. 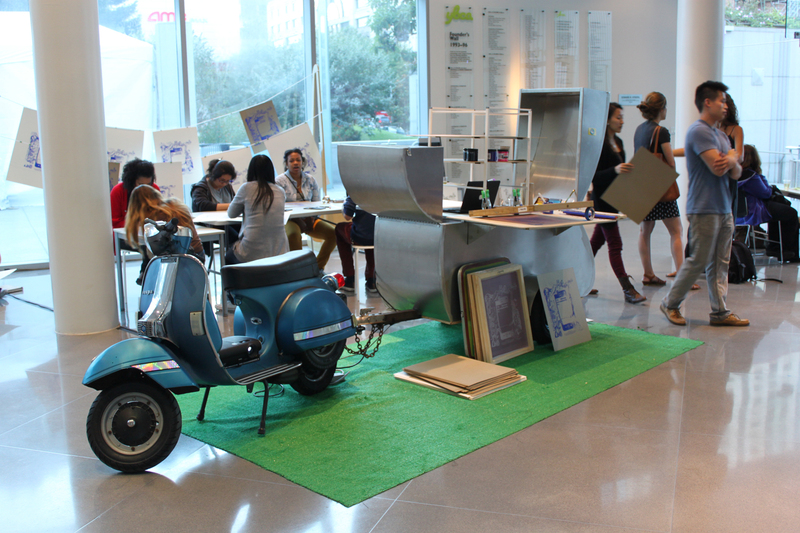 September’s YBCA: ConVerge program presents Chris Treggiari and Peter Foucault’s Mobile Arts Platform (MAP) project and its Mobile Screen Print Cart, an interactive, neighborhood-generated social sculpture inspired by the design of a classic teardrop trailer that is towed behind a vintage Vespa scooter. 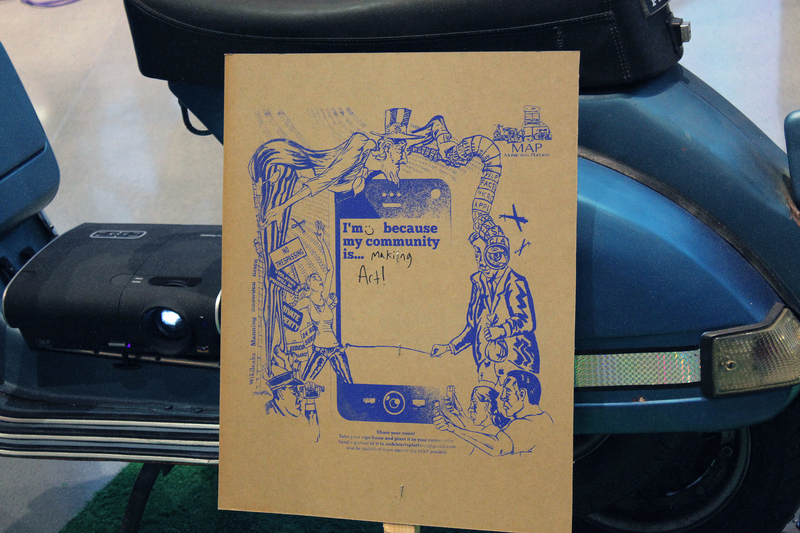 The Mobile Screen Print Cart will explore the varied history of community posters in the Bay Area, while simultaneously giving the viewer a platform to create their own original, individual posters that will dispersed throughout the Bay Area. For this project MAP has collaborated with celebrated printmaker and educator Art Hazelwood and invited local art blog SF Art Enthusiast to conduct on-site video interviews. For this event we are also collaborating with Brooklyn based artist Jonathan Grover who has created an interactive “Tweet” program allowing participants to get involved from anywhere around the world! Interactive performance pieces will take place throughout the evening inviting the public to become active participants in this multi-media event. The Coalition on Homelessness is pleased to invite you to Art Auction 13, featuring the artwork of over a hundred Bay Area artists and a live jazz set by Lavay Smith and her Red Hot Skillet Lickers from 6:30 – 7:30 pm. There will be complimentary food by Eshana Singh and an open beer and wine bar. 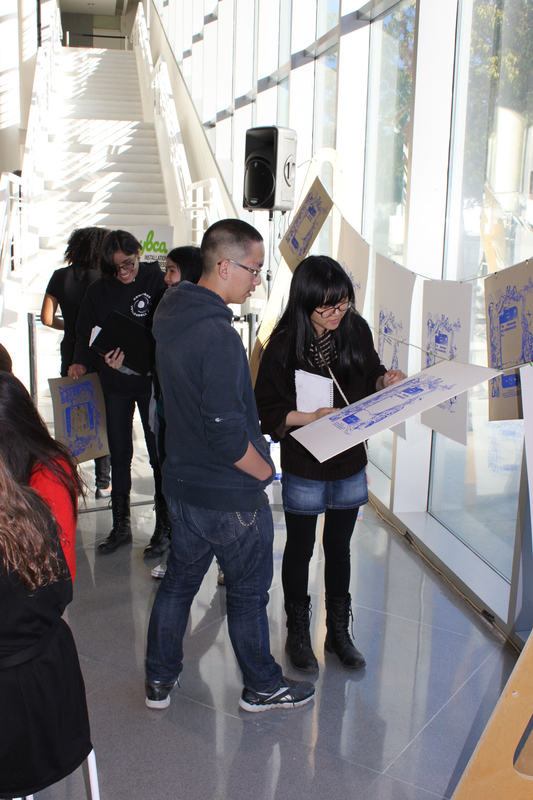 Also, live tortilla screen printing by the Great Tortilla Conspiracy and exciting raffle prizes from local businesses. 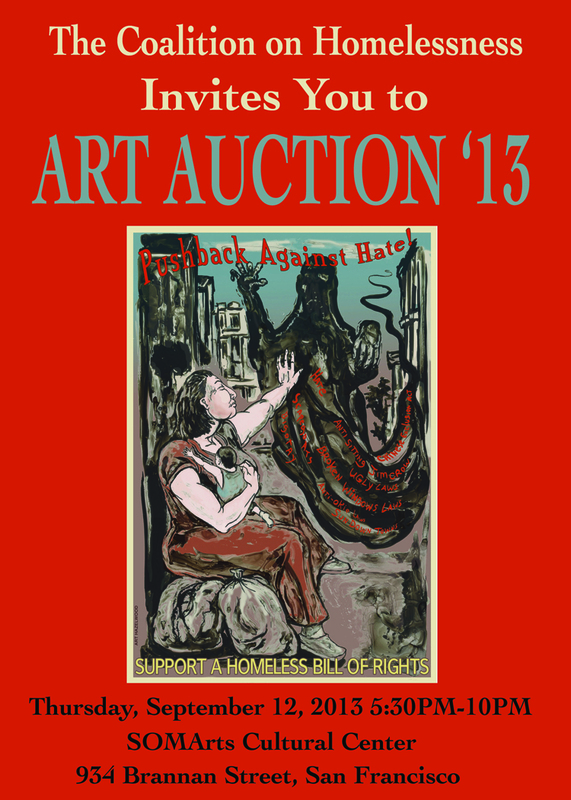 The Coalition on Homelessness Art Auction has been happening for over 10 years with great success. The Coalition on Homelessness is a grassroots social justice organization dedicated to the elimination of homelessness and its social, political and economic causes. Through a grassroots, peer-based organizing and advocacy model, our homeless and poor members have been able to effect some of the most notable changes in the history of San Francisco homeless policy. Our bottom-up organizing model ensures the voices of some of the most disenfranchised San Franciscans lead the fight against homelessness. I have a new drawing included in the auction. Please come out and support this amazing cause, hope to see you there! Hope all is well as summer winds down into fall!